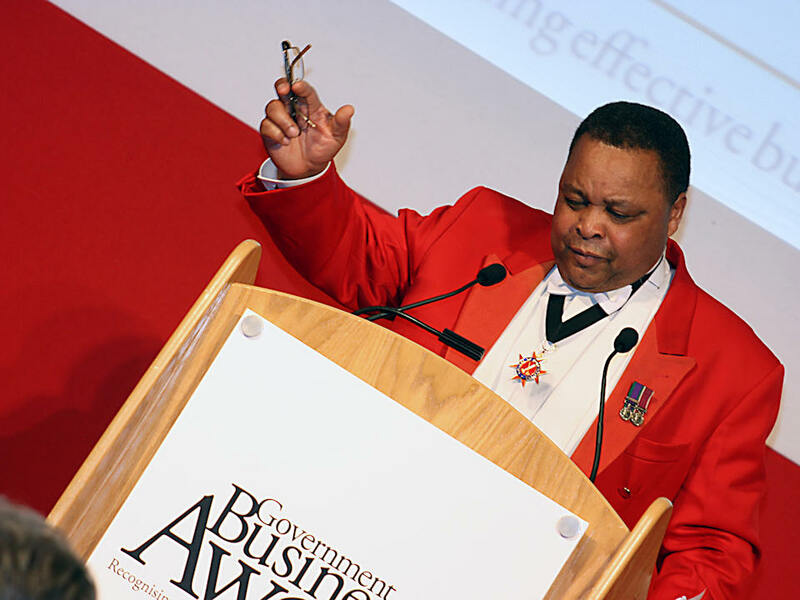 At every kind of function, employing Reuben’s services, either as Toastmaster or as Event Consultant, can help to see your event through to a successful conclusion. Balls are very popular events. They are also a fantastic opportunity to raise money for that all-important cause. With money in short supply Reuben’s presence and personality will help to enhance the evening and make it more profitable. Are you arranging a corporate dinner, banquet or award ceremony? 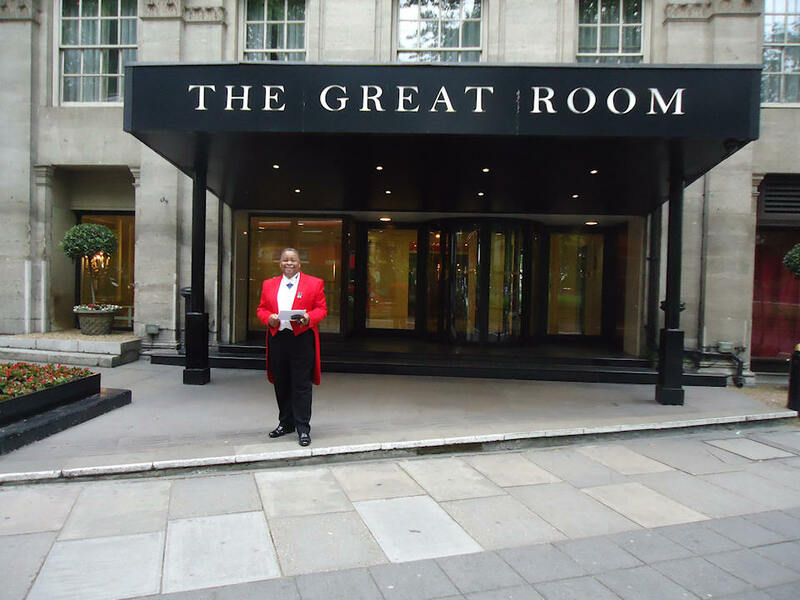 Booking Reuben’s services as an experienced and professional toastmaster with enhance the enjoyment of the guests, add value and raise the profile of your event. If you have ever experienced the loneliness of an empty exhibition display, you will appreciate Reuben’s ability to draw attention to your stand. 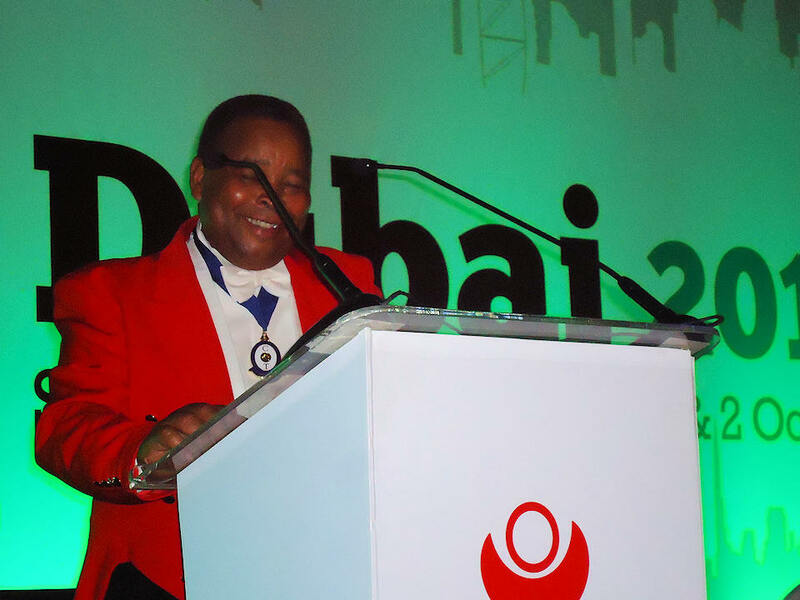 Dressed immaculately in his red jacket, his impeccable manners and beaming smile combine to make him a popular choice for a range of events. He will attract attention to your stand, boost numbers of leads, and make the most of your investment. 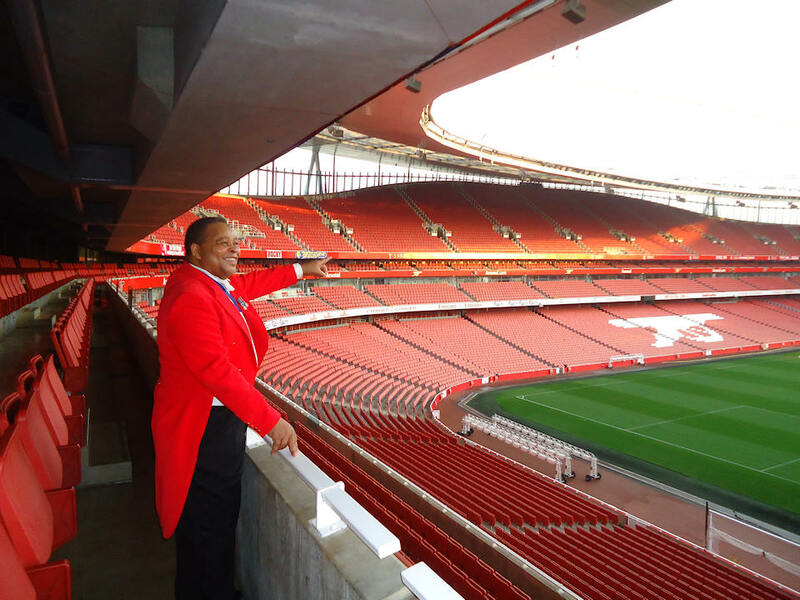 Whatever the scale of the launch, you can rely on your Professional Toastmaster to get your host and celebrity at the right spot at the right time. This will give greater attention to the features and benefits of the product, and will ensure maximum impact, making the audience remember your product long after the event. “So what do we do this year?” This is often the anguished cry of the organiser before the annual sales conference. Well, why not add the Toastmasters touch? It will support virtually any conference theme and will give the occasion an unusual and entertaining flavour that will capture even the most jaded of audiences. Presentations are vitally important but often costly and time consuming to prepare and many of them are still ineffective because they fail to engage the audience. Consequently, the essential messages are only partly understood, forgotten rapidly, or lost altogether. Thankfully, many organisations recognise this danger and are using an innovative approach to transform their presentations into lively, enjoyable and memorable events. 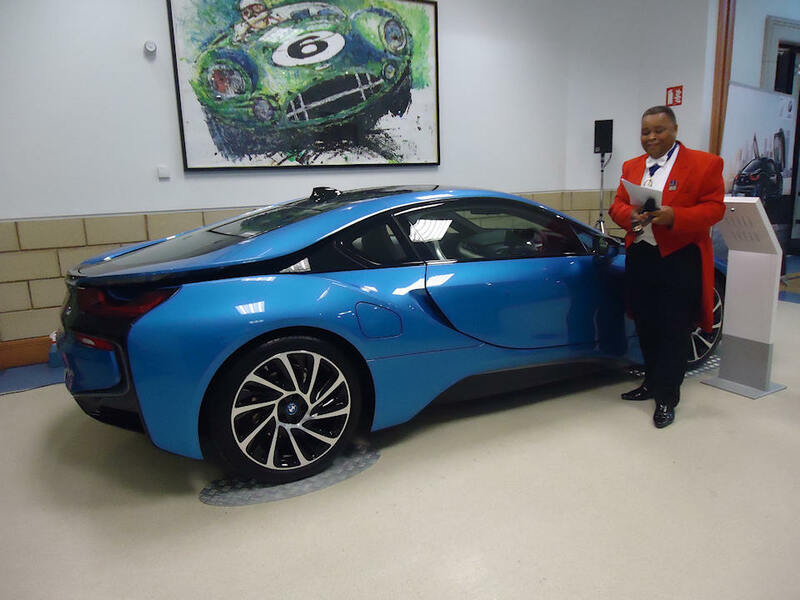 They have achieved this success by literally adding the Toastmaster’s touch! Reuben oversaw the luncheon arrangements for the HRH The Princess Royal when she visited the Regiment as Colonel in Chief. Want to hear more? Then book Reuben for a talk! The correct forms of address (for middle management in the hospitality industry). Whatever your requirements, give Reuben a call to see how he can help – you know it makes good business sense! A brief clip of Reuben in action at The Belfry in 2014. (Video by Adam Stevenson, ASAV Film Production).